The Junya Watanabe Comme des Garcons MAN Spring/Summer 2012 collection highlights a bunch of colors, patterns and materials similar to the way electricity highlights a lightbulb. 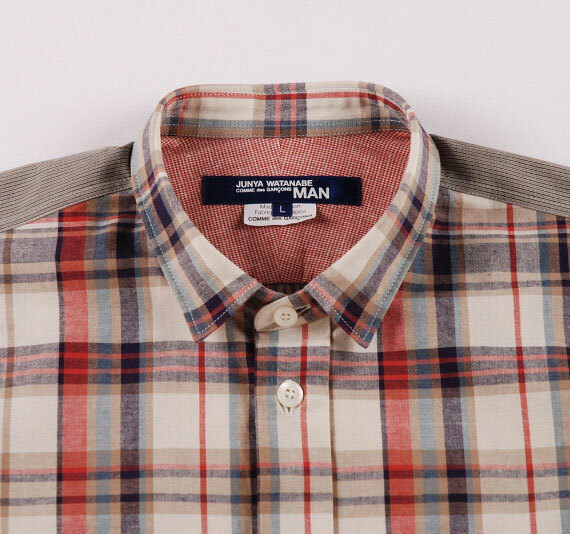 The urban African can now wear shirts that feature a club collar and traditional plaid rustic hues that give it a vintage feel. The shoulder and rear-arm panels plus blown-up chest pockets adds a rough patchwork styling.